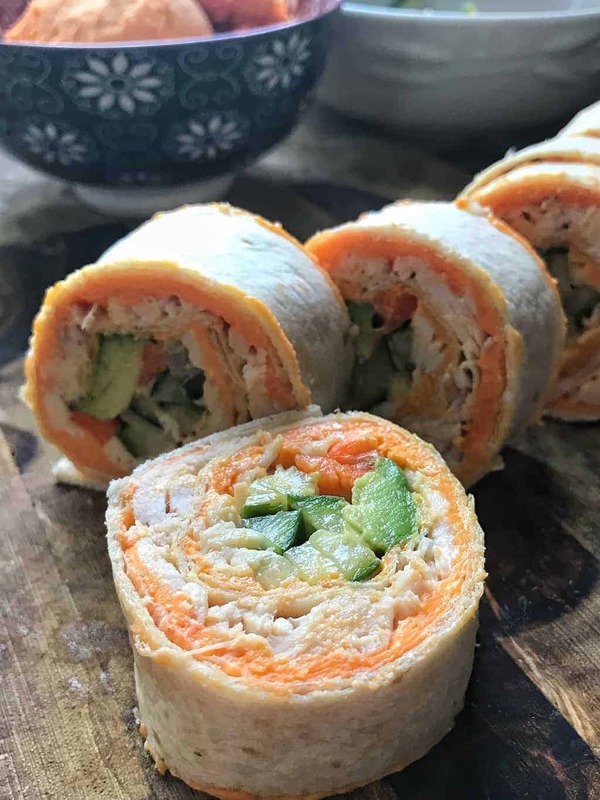 Chicken Pinwheels are a delicious appetizer for your next party or a simple snack any day of the week. 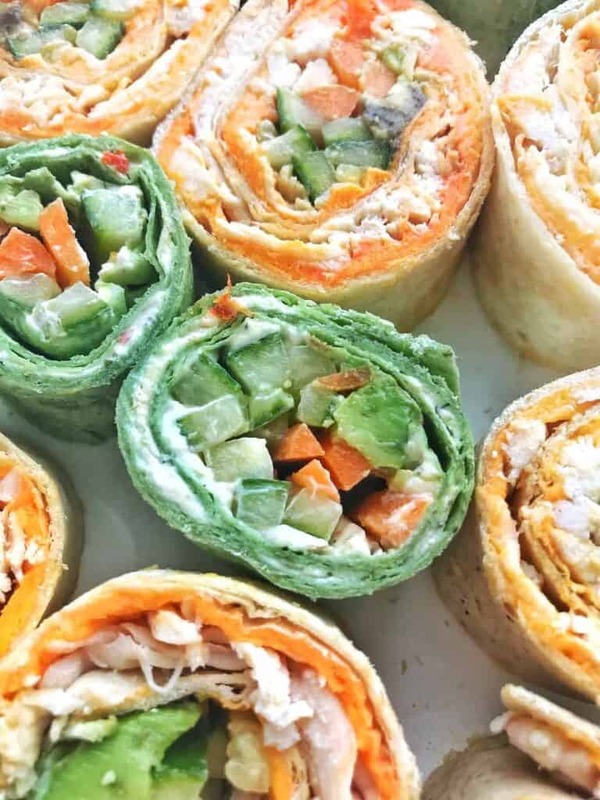 These chicken, cheese, & veggie pinwheel recipes are so versatile you can quickly whip them up for entertainment purposes, or as an afterschool snack. Here on the blog, I often talk about foods that remind me of childhood. Today, I have yet another – but this one is not just from childhood. Throughout the years, this food item could be found in my mother’s fridge, at family gatherings, definitely on the relish tray at supper clubs, to name a few. I’m really excited to share this delicious midwestern produced product with you – don’t worry, it’s available all over the country so you can try it too. I’m happy to support a local company in my lovely state of Wisconsin that’s just down the road. The product was founded and is produced in a small town just 20 minutes from my home. I’m going to take a gamble and say that if you’re from Wisconsin, you know when your driving through Kaukauna. If you’re not from WI but have driven Highway 41 through this part of the state, you just might know what I’m talking about too. You see, northeast Wisconsin is home to many paper companies. The city of Kaukauna has a plant that processes wood into pulp, and if I understand it correctly, it’s this process that produces a very strong sulfur odor. This means when your driving on the highway you know exactly when you’re approaching this small town by smell alone! While my memories of Kaukauna are related to the scent of the paper industry, there is something much tastier that comes from this small town as well, and I am proud to share it with you today. I was thrilled to find a large selection of this cheese spread in my newly remodeled hometown grocer, Piggly Wiggly. This store cracks me up, Piggly Wiggly has a converted VW Bug that looks like a pink pig that drives around town! And as I learned a couple weeks ago when I introduced the classic Midwestern casserole, Tater Tot Casserole, recipes and products vary in different parts of the country. I was surprised to find out how many people had never even heard of this delicious dish. Find the Tater Tot Casserole Recipe Here. Today, the pinwheel recipes I’m sharing are all made with Kaukauna® spreadable cheese. Kaukauna® is delicious by itself or part of a recipe. I may, or may not have, been eating the cheese by the spoonful as I worked on this project. It’s that good. There is an Ibotta offer you can grab starting 3/14/18. Find the offer HERE. 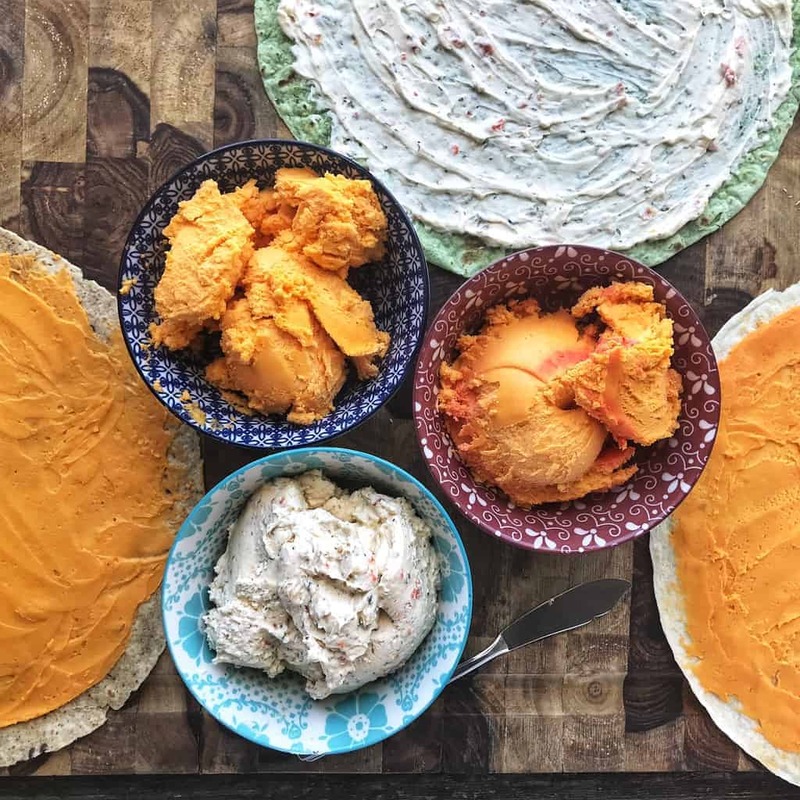 The fun part of this project for me was using Kaukauna® spreadable cheese, which is made with 100% real cheddar by the way, as a delicious and easy entertaining solution. In the past, I’ve mainly eaten this spreadable cheese on crackers. 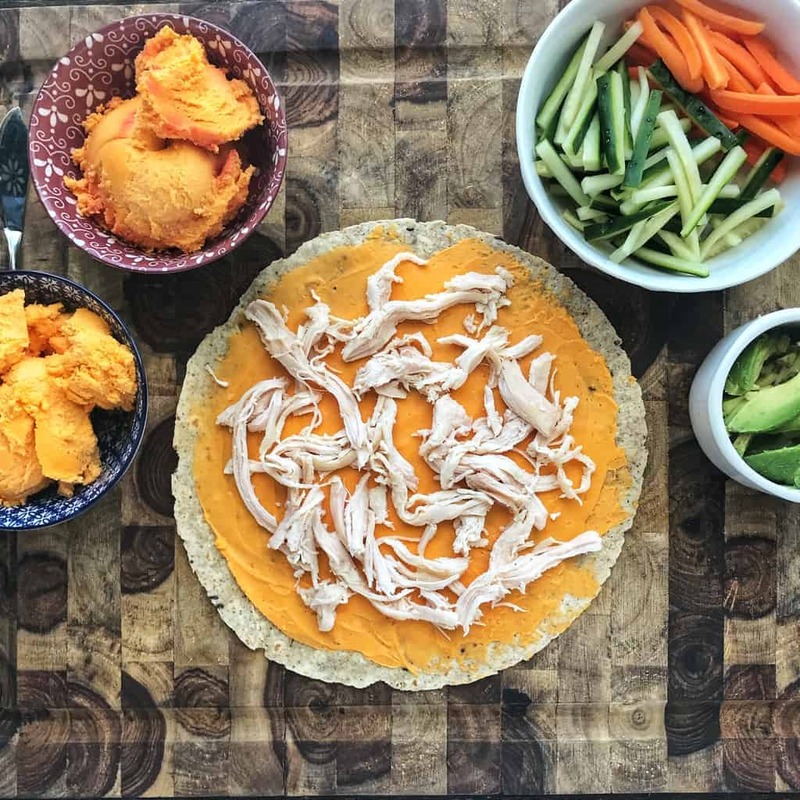 But there is so much more you can do with this product beyond cheese and crackers (though that’s pretty darn good too!). Using this cheese spread is perfect for those who want to impress guests, but want easy recipes. These pinwheels come together in 5 minutes and are packed with flavor thanks to the cheese! 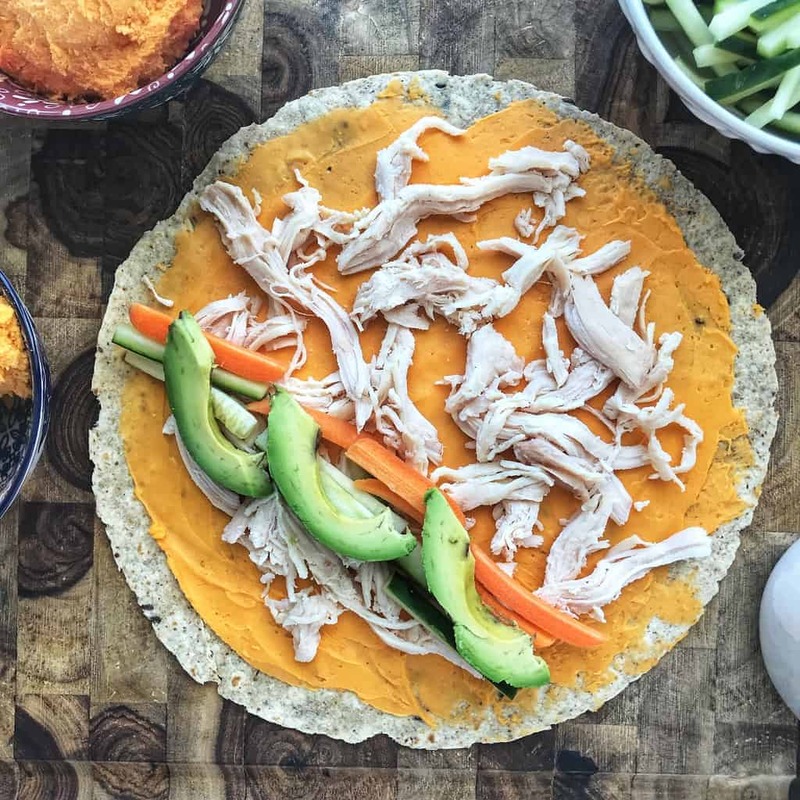 Start by picking out what kind of tortillas you want to use. 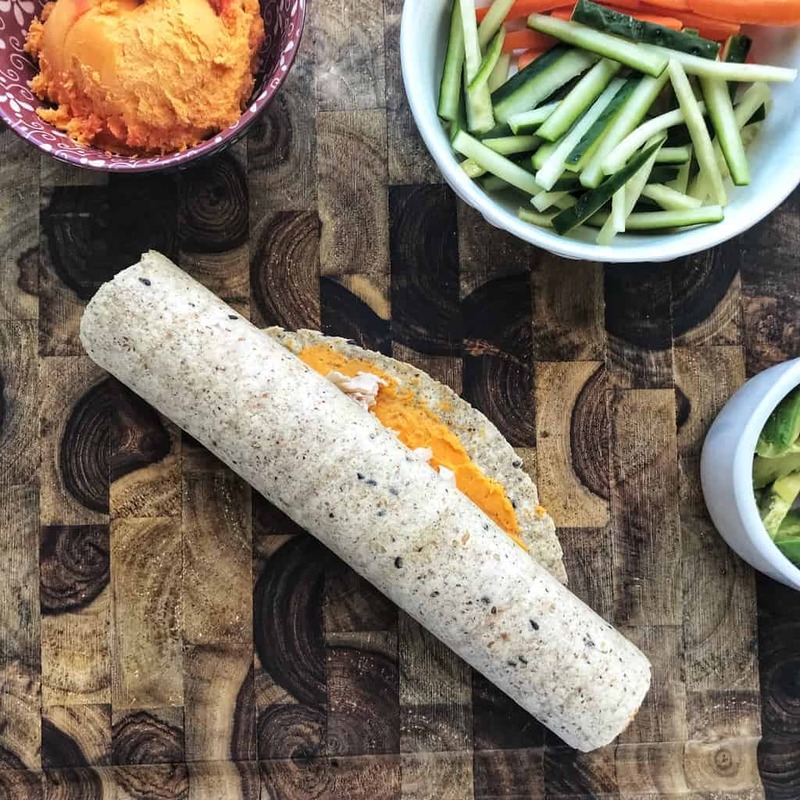 If it’s an afterschool snack your going for, consider using a whole grain tortilla. For entertainment purposes, I like to use a variety of colors and flavors. Next, choose your cheese flavor. I used my favorites, Sharp Cheddar, Port Wine, and Garen Vegetable. Next, add the meat and veggies. I chose rotisserie chicken because it looks nice in the pinwheel recipe and I always have some frozen on hand. You could also use lunch meat, tuna, or even tofu. 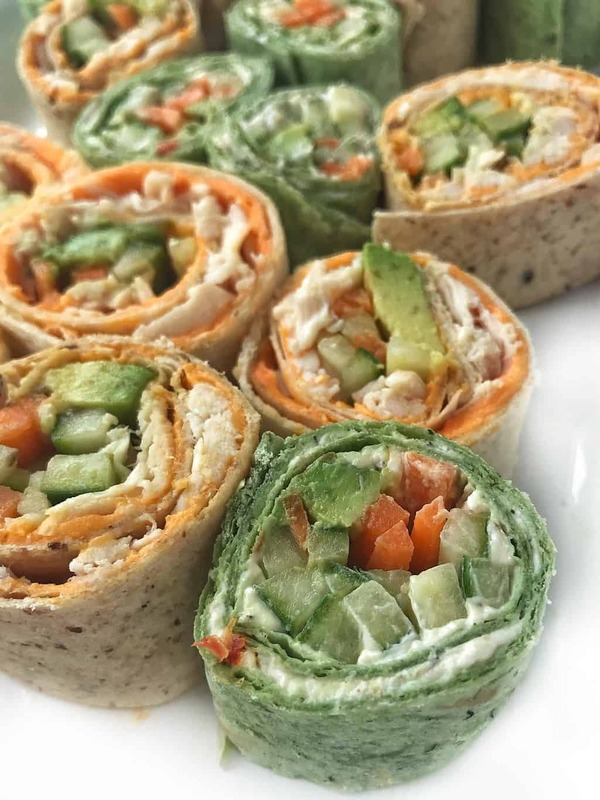 You can add variety by making some pinwheels simply with veggies as shown below. If you’re using meat, spread it evenly around the tortilla. Then add your veggies of choice in a line on one side of the tortilla. This is how you get the veggies in the center of the pinwheel recipe. Now it’s time to start rolling. 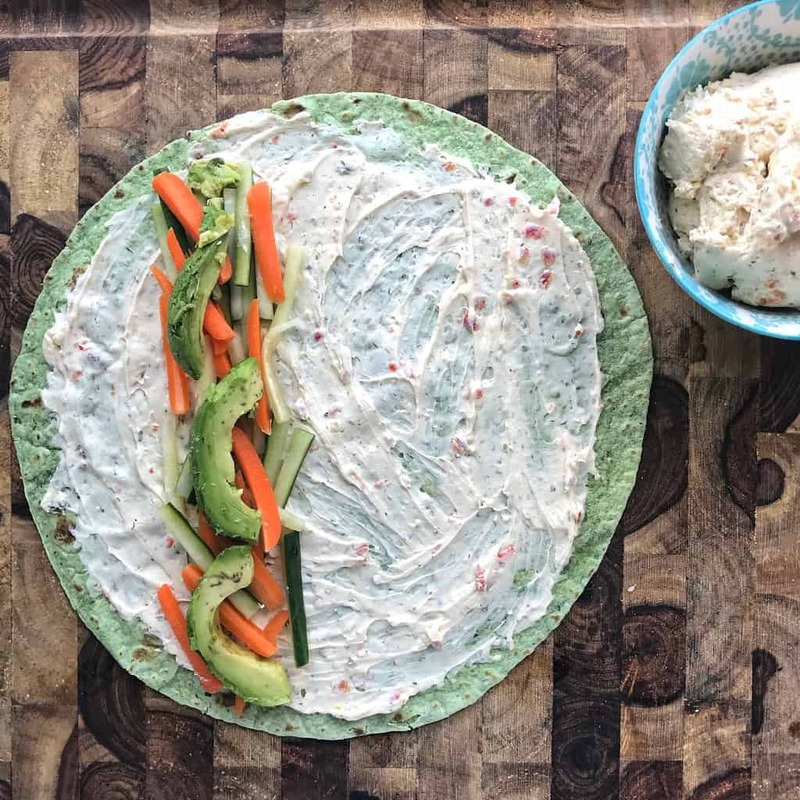 Carefully start to fold the tortilla around the veggies, and roll tightly. All you need to do is slice and serve! A simple snack or appetizer that comes together in just 5 minutes. This pinwheel recipe may look like it took lots of time to prepare, but it’s a simple appetizer idea that’s perfect for quick entertaining. A simple appetizer using spreadable cheese and veggies that comes together in just 5 minutes. Makes a great snack any day of the week! Omit meat for a vegetarian option. Choose your favorite veggies and cheese combos for more variety. I love the veg + colors that go into this! They look delish! Definitely something that would be a hit at my house. Loved this simple appetizer! Perfect for football season!